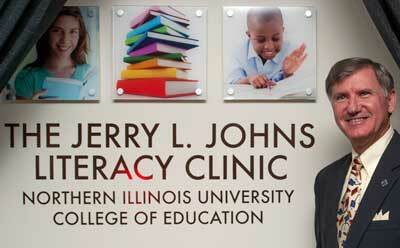 The NIU College of Education, the Department of Literacy Education and the NIU Foundation are celebrating the naming of The Jerry L. Johns Literacy Clinic. The naming recognizes not only Johns’ generosity as a philanthropist to the clinic and the literacy program but also his years of ongoing contributions to the field of literacy itself. Established in 1973, the clinic – staffed by working professionals, faculty, and students gaining clinical experience – serves more than 400 K-12 students per year who are seeking reading support. Johns previously served as director of the clinic, which is now located at 3100 Sycamore Road in DeKalb. The building was formerly occupied by Monsanto. Jennifer Berne, department chair, described the clinic as a “real intersection between theory and practice” because it is a place for teaching children and training future teachers, as well as those who are seeking ongoing professional development and advanced degrees. Literacy program staff said they plan to use the gift to serve more students, provide reading support services for children who would not be able to pay for them otherwise, allow the clinic to implement new programs and to enhance our work of providing high-quality services to any child across the region. Laurie Elish-Piper, current director of The Jerry L. Johns Literacy Clinic, said its role in preparing literacy experts in this region is critical, and that the prominent association with Johns will enhance the work done there. Like Elish-Piper, Berne said Johns influenced her career early on. Berne said the new name boosts the reputation of the clinic by being so closely associated with Johns’ professional and academic career. 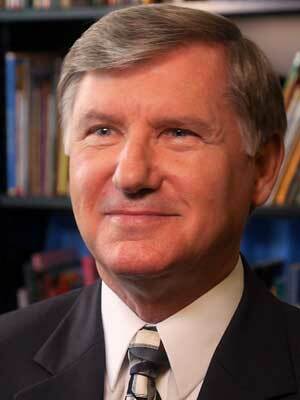 Johns speaks Friday, Sept. 6, during the naming ceremony. 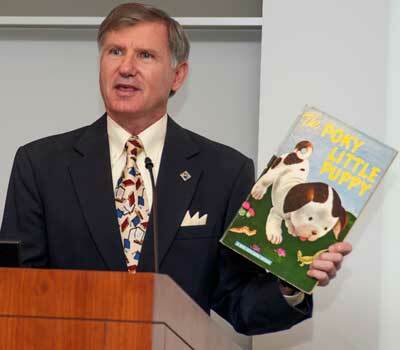 Johns said making the gift was a natural decision for him because the literacy clinic at NIU has been his home for his entire professional career. Johns said the work that is done at the clinic is more important than ever, because demands on the field and on practitioners continue to grow due to increasing diversity and digital technology.